Steve Bodmer is an enrolled member of the Natchez-Kusso Tribe of South Carolina, also known as the Edisto Indians. Steve practiced Indian law in the private practice setting in the Phoenix area until leaving to serve as General Counsel to a 1,200 member tribe in Central California. While in law school Steve worked in Washington, D.C. for Senator Tim Johnson of South Dakota on the Senator’s Indian Affairs team and also worked for the Department of Justice, Office of Tribal Justice. Steve is a veteran of the U.S. Navy. In his role as General Counsel, Steve provides legal counsel to the Pechanga Tribal Council, the Tribal Government and each of its departments. In addition to his responsibilities over Pechanga Tribal Government legal matters, Steve also oversees the legal affairs for the Pechanga Resort & Casino and provides legal counsel to the Pechanga Development Corporation. Among other areas of practice, Steve specializes in federal Indian law, gaming law, tribal governance, and tribal economic development. 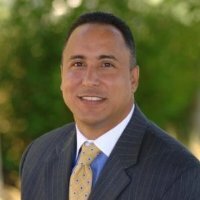 Steve is a founding executive board member of the Native American Bar Association of Arizona and is a member of the International Masters of Gaming Law. Steve is licensed to practice law in California, Arizona, and Washington, D.C.
Steve received his Juris Doctor from Arizona State University College of Law, where he also received the Indian Legal Program Certificate for his study of Federal Indian law.